Contests create an atmosphere of fun and excitement at your charity golf tournament. 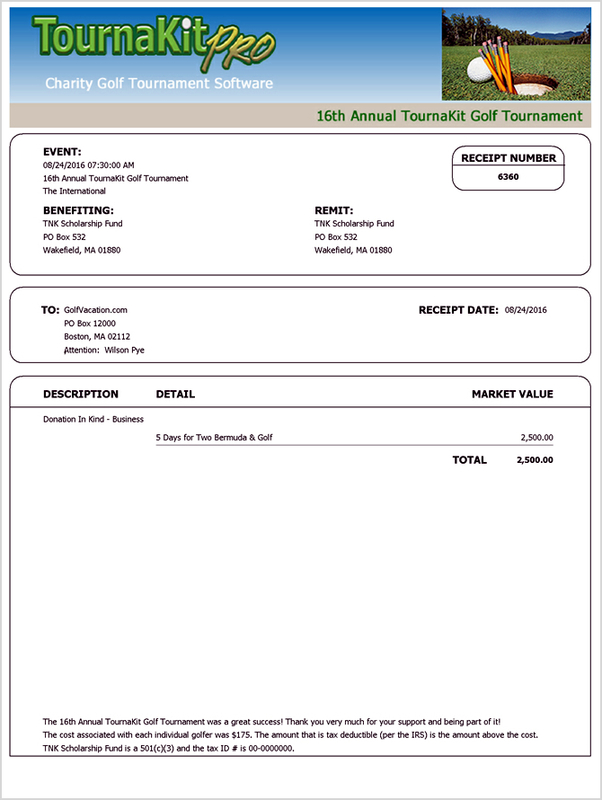 One of the first lessons we learned about how to grow a successful charity golf tournament was to include a hole in one contest and especially an open invitation putting contest that simply requires the purchase of a ticket. Large prizes can be offered for a minimal cost through prize insurance. Players and guests will remember the moment when the $10,000 putt was made at your charity golf tournament. 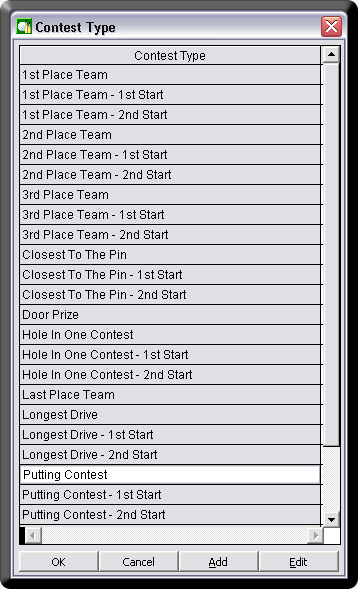 Each contest creates a sponsorship opportunity for fundraising and player memories which promote returning to your next golf event. Charity golf tournament contest provide golfers with a challege and income for your charity. 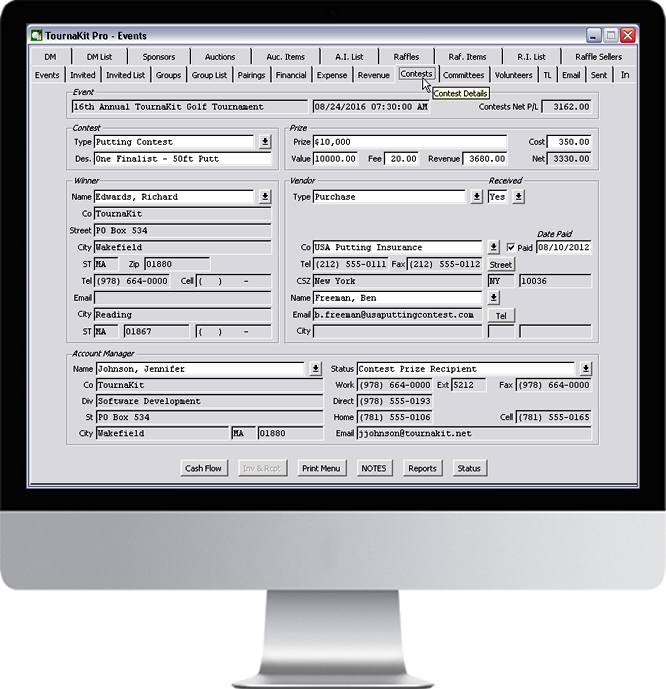 With TournaKit Pro you can easily print donor receipts for each Contest. 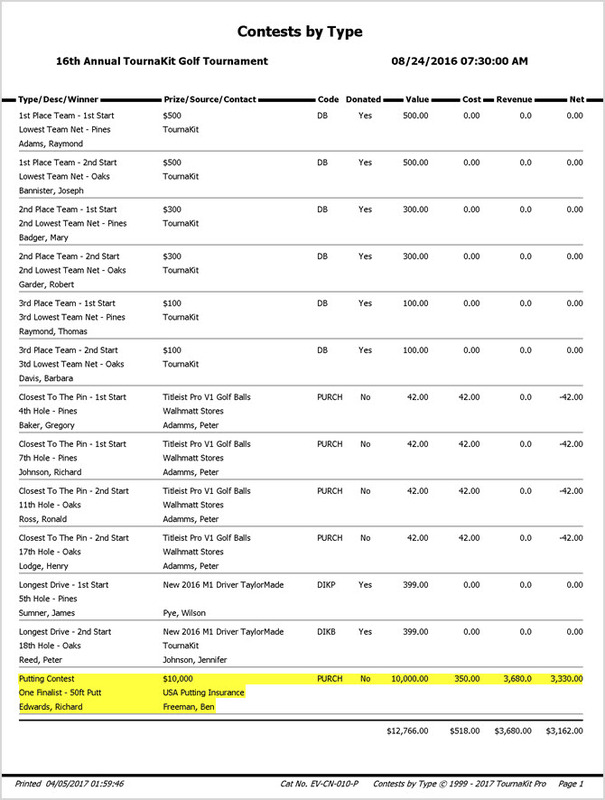 Below is a an example of a donor receipt.